Eco postcards: discover the brand new eco gadgets Eco-Postcard! Eco postcards: discover the brand new eco gadgets Eco-Postcard! 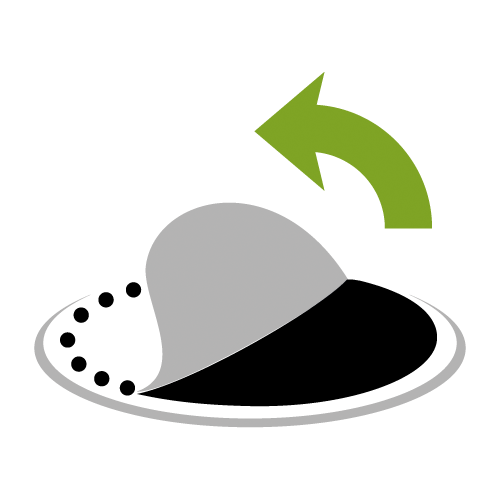 How does ecological postcard Eco-Postcard work? Discover how easy it is to bloom your communication with ecological postcards! Remove the dashed disk and start to wet inside the card’s hole. Moisten the peat several times a day as long as the peat grows a few inches. 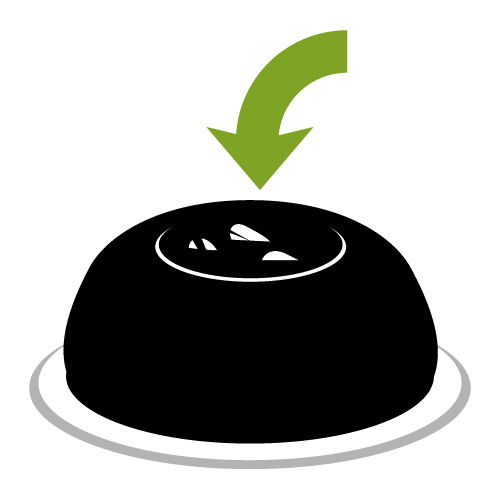 Push the seeds slightly inside the peat until they are covered with ground and continue to keep it wet. After some days the first seedlings will come out. 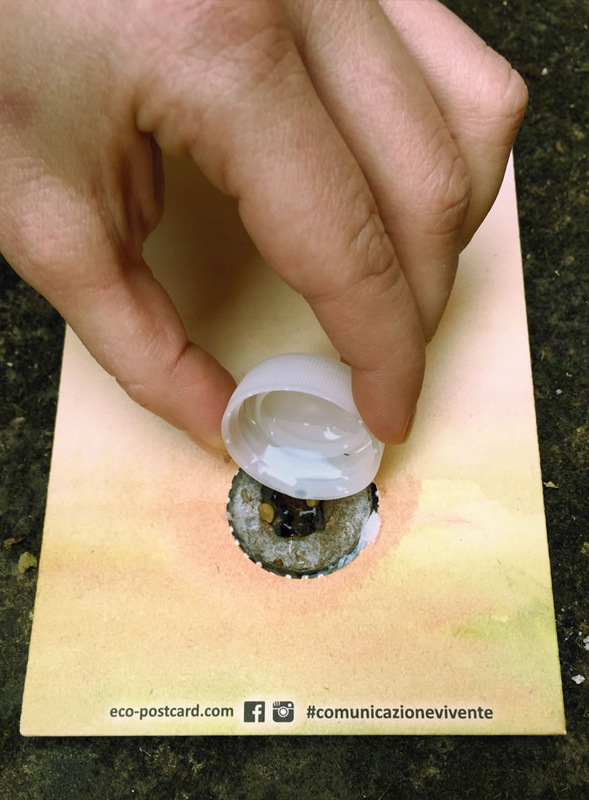 Discover in 30 seconds how easy it is to watch the plant contained inside the ecological postcards Eco-Postcard germinate! 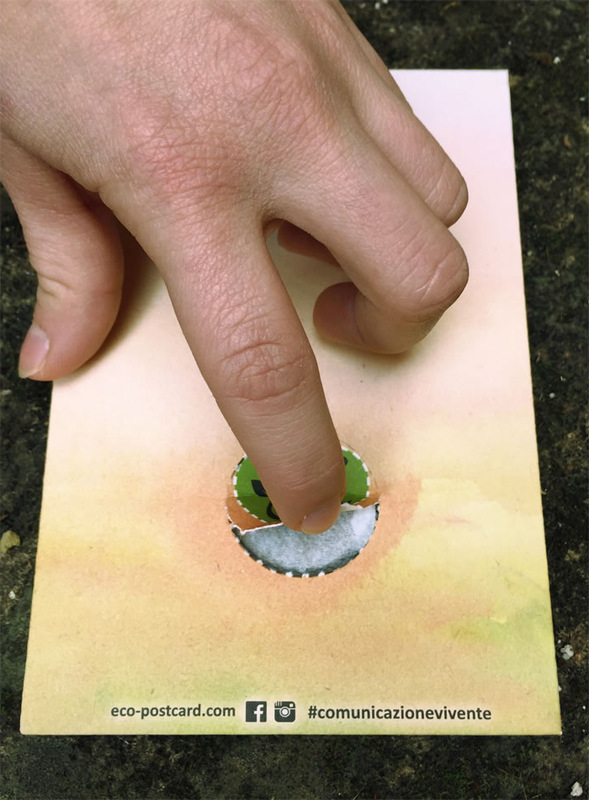 It’s a unique and authentic experience to watch a plant germinate from a postcard. Follow these simple instructions and the nature will do the rest: waiting is part of the game and makes Eco-Postcard a precious object. Try it! 1. Take out the outlined paper disc put in the middle of the postcard. Remove carefully the outlined disc located in the frontal side of the postcard. You can help yourself with your nails or with a pointy object. 2. Moisten the peat again and again. Since the first day moisten the peat with a little water many times during the day: you can use a teaspoon, a dropper or a plastic cap. Repeat the action every 2-3 hours until the peat has grown and will be at least 2 centimetres higher than the postcard’s board. 3. Push the seeds towards the inside. When the peat will be soft enough, push the seeds inside being sure that they are slightly covered by the peat. 4. Keep the peat moistened every day. 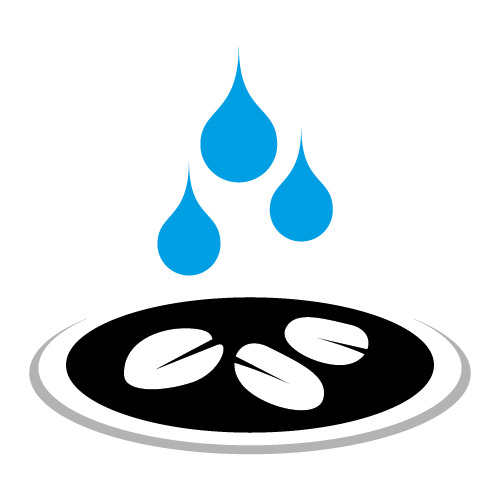 A few drops of water many times a day, every day, are enough to favour the germination. 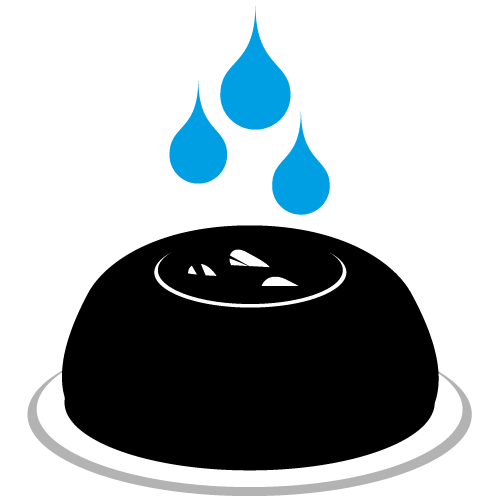 In order not to spill water on the postcard, we advise you to pour the water on the peat using a dropper, a teaspoon or a plastic cap. Just like every other plant, Eco-Postcard needs light: keep it in front of a window so that it may germinate luxuriant. During winter, it is better to keep it inside your home or office and put it on the windowsill only when it will have grown enough to resist the cold weather! 5. 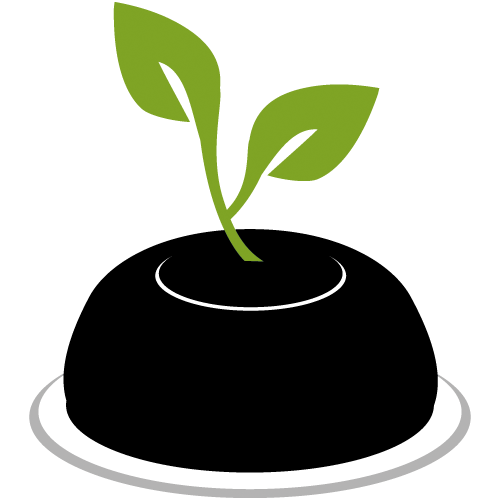 Watch the little plant grow and then transplant it. 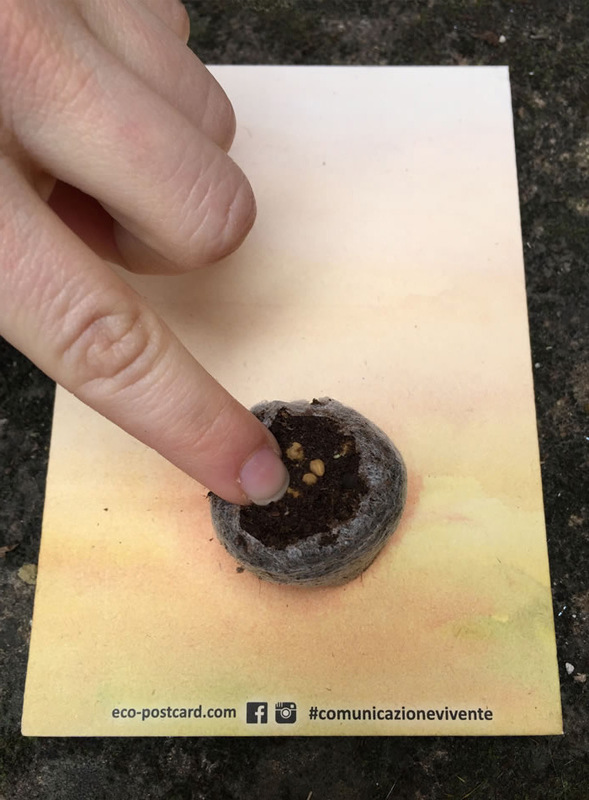 After a few days, from the seeds will germinate one or more plants which can live directly on the postcard ever for 20-30 days. 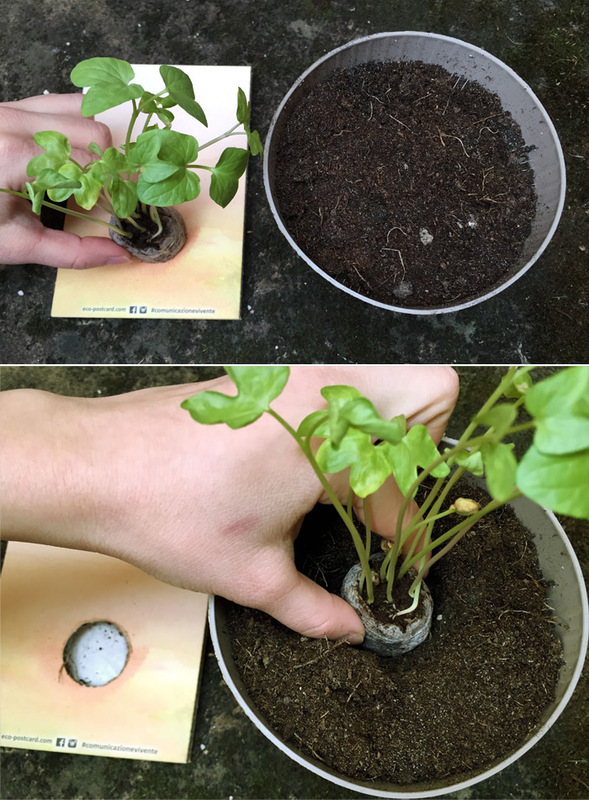 When you will feel like transplanting them, it will be enough to lift the peat up with your fingers, take it out of the postcard and put it in a bigger vase. The nourishment contained in the peat is enough to stimulate the germination and they might not guarantee the complete plants’ growth and blooming. For this reason, it is recommended to transplant them taking away the protective small net in order to favour the roots’ growth. Eventual suffering plants, after the transplant will get all their strength back. 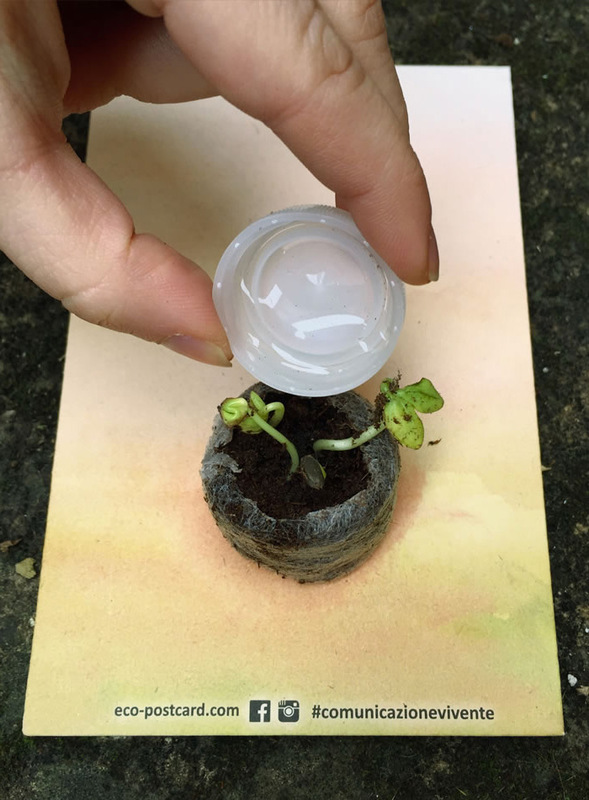 Now you’re ready to grow a plant from your Eco-Postcard!